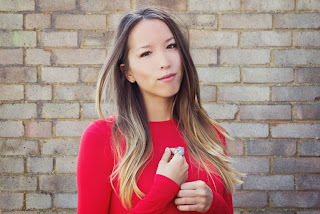 I was so excited to ask Natasha Ngan questions about her new YA novel The Elites; as I will admit, it was one of my favourite YA debuts this year! I've spent some time talking to Natasha on Twitter, and she's really lovely, so it was great to ask her more in-depth questions about her book. I was really surprised when I got the answers - as I have never seen someone take so much time to answer my questions with so much detail! you want this book on your shelf? Hello, Natasha! Welcome to my blog - have some cake! Thanks! I love book bloggers. They always offer virtual cake! You own the very successful fashion blog Girl in the Lens, as well as being a Social-Media Consultant so, how did writing a dystopia novel come about? Actually, I think it’s more the other way round – me falling into the fashion and social media industries by accident while actually being a writer at heart! When I left uni, I wanted a job that was creative and involved a lot of writing, so social media seemed like a good fit. I worked for a wonderful marketing agency in London for half a year and started up Girl in the Lens while I was there. But I was still writing all the time. I didn’t plan on writing a dystopian. I guess I’ve just always been interested in issues such as social inequality, the nature vs nurture debate, racial tensions … these interests just worked their way out in the story! Had you ever written anything before this book? 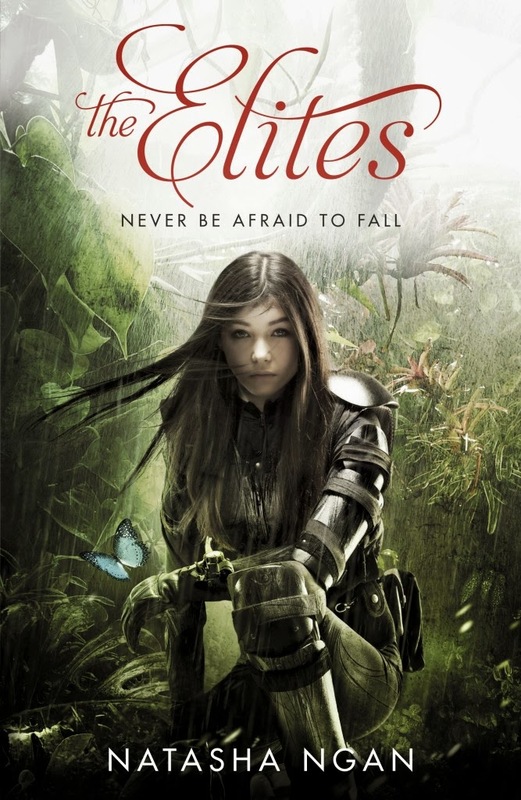 Lots of short pieces of fiction and non-fiction articles, but The Elites was my first novel. Where did you get your idea for The Elites from? It all came from a line which just popped into my head one day – a line that is still the first line of the book! ‘There is a rumour that the Elites don’t bleed.’ Who were these Elites? I wondered. Why might there be this rumour? The story, characters and world evolved from there. At what point did you realise, " I may have something here..."
Did you want your novel to handle situations we could relate to today's society? I didn’t knowingly draw on the circumstances of today’s society, but I do think they fed in subconsciously. I’ve always been interested in social issues – I specialised in Cultural Geography at uni – and have strong opinions on global issues, so it’s natural they cropped up in The Elites. Handling a topic like racial-tension, not mentioning handling it well, is a hard thing to do. Do you feel like it was a risk worth taking? I hope I handed it well! I have never wanted to shy away from difficult issues in my writing. YA is a wonderful opportunity to explore these big topics in a way that doesn’t feel preachy or too obvious, so readers can engage with them if they want to or just focus on the plot. If it was a risk, it’s one I’d like to keep taking with my future books. Neo-Babel has a very cultural-feel to it - was this always planned? Yes! I love travelling and immersing myself in new cultures, and coming from a mixed-race background I’ve always been surrounded by different cultures. While Neo-Babel has a dark side to it, it’s also a place I’d love to visit, with its floating shisha cafes and street food and multicultural atmosphere. Some of the scenes came about just because I wanted to write something in a particular setting! How was the world-building process? Did you plan everything out or just let it flow as you wrote? I let the world evolve naturally at first, just getting a feel for it and trying to shape it into something realistic. Then I started a more intense phase of asking myself how everything worked to make sure it was a realistic setting. I figured out so many little details about Neo-Babel and the wider world which I never got to include in the book because of lack of space! It’s such a shame, but you’ve got to do what’s best for the story. The Elites is told from various different perspectives but which was your favourite to write? Did you have a least favourite, or find one particularly challenging? I always loved writing from Akhezo’s point-of-view, because he’s just such an intriguing character. For some reason, I just seem to enjoy writing these grumpy, awkward characters who are struggling to find their place in the world. The short scene from Ember’s perspective – the only one in the entire book – was the most challenging scene to write for me, emotionally-wise. If you’ve read it, you’ll know why. But I felt it was very important to include it. I agree - it was such a powerful scene! I suddenly understood her...and stopped disliking her for what she had done previously! Something I noticed while reading was that the characters all had a back-story and a reason for reacting the way they did when faced with certain things. Why did you decide to write out their past? Did you find it hard to write, especially in Butterfly's case? I’m a firm believer in the power of nurture – that is, how we’re brought up, and how the things we experience effect us. I’m not quick to judge others because I don’t know if I would act any different had I experienced the world the way they have. I knew every single character’s backstory and why they did the things they did. I felt like, as a reader, I’d want to know more about their pasts to understand better their presents. As I said above, writing that scene where you get a glimpse into Ember’s mind was so hard emotionally. It was definitely the same with Butterfly’s perspectives. He’s had such a tough time – but it’s inspiring to see how he’s stayed grounded and strong throughout it all. You can live one of your characters' life for a day - who would you choose? What a cool question! It’d have to be Butterfly. Firstly, I get to be a boy (hehe, who hasn’t wanted to swap genders for a day?) but more than that, I get to be a boy with wings. Hello! I’d love to feel what it’s like to fly. That would be an interesting experience - and I'd love to fly too! It would be amazing! Thank you so much to Natasha for answering so many questions of mine - Part 2 will be up in a few days!